To kick off the summer season, I wanted to share my June Favorites video. I had the pleasure of favoriting a few Korean products this month as well as a few new holy grails that, seriously, how did I not use them everyday before? IN LOVE! Recently my friend Martina visited us in LA from Korea and she brought me some amazing goodies from her favorite Korean beauty shop Etude House. Whilst complaining about the bland and cute-less packaging of western cosmetics, I ooh'd and ahh'd over the goodies she gathered including these amazing Play 101 Pencils, a recent offering from the brand of multi-purpose pencils in a huge range of colors. These pencils are so easy to use for popping the perfect amount of brightening shimmer to the inner corners of the eyes. They really glint in the light from different angles which you can see in my favorites video. 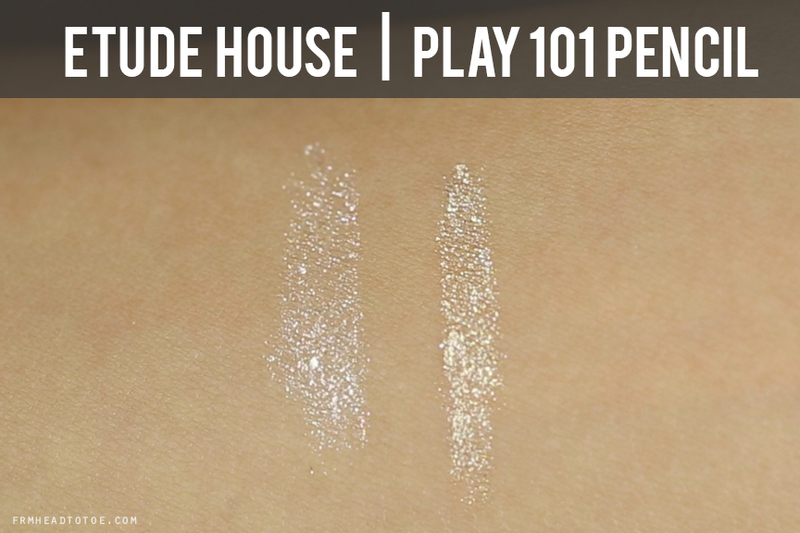 You could also use these on the lids to add a bit of sparkle to any look. I've also been really loving my dual-ended Urban Decay 24/7 pencil in Venus/Crave. The double ended pencils have a lot of different colors but this one by far is my favorite since I adore brightening the eyes with that inner corner highlight. 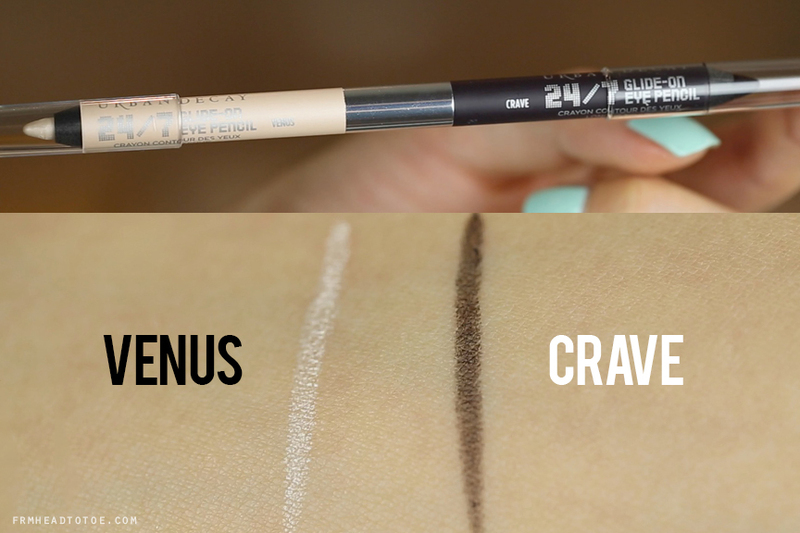 Crave is also a creamy blackened brown which I've been using as an eyeshadow base on the daily. Readers, what are some of your favorites this month? Do you have a favorite product for brightening/highlighting the eyes? Let me know in the comments! I did a video for my favourites as well. I liked the It Cosmetics Universal brow pencil and HD powder, OPI Hey Baby and Thanks A Windmillion, and theBalm Hot Mama. you inspired me to go into and sniff the chocolate palette and it smells SO GOOD. I'd love to try the Too Faced Chocolate Palette. My favorite product in June has been the YSL Rouge Volupte Lipstick in Peach Passion. I love the highlight in the Naked Flushed Palettes! They are perfect for inner corner. I use the one in Streaked and it's the perfect rose gold! I love Etude House! Is your friend Martina the Martina from Eat Your Kimchi, by any chance? I love that you included the Too Faced Chocolate Bar palette. It has some great mattes. I love Too Faced Instant Attitude to highlight the brow. The Chocolate Bar Palette is a must! I love it so much and can't stop wearing it!! Hey, Jen, what camera do you use? You always look amazing in your videos and I wish my camera took pictures that look as good as yours do.